1. 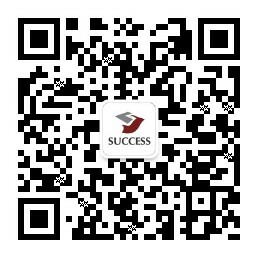 How to make an order with Success Securities? Success Securities Trading Platform requires no installation, and can run in ordinary browsers. In the entrance of the trading system, enter account number and password, login into the system to trade. 2. What is the minimum and maximum board lot per securities transaction? The minimum board lot per securities transaction is 1 lot, and the maximum is 3,000 lots. 3. Do I need deposit fund before buying securities? Can I buy securities immediately after depositing cheque? All clients must deposit relevant payments by cheque or PPS before buying securities. After Success Securities confirms a client PPS deposit, the client can place order. 2）	In other cases, funds deposited before the cut-off time can be used after 4p.m. on the next trading day; funds deposited after the cut-off time can be used after 4p.m. the trading day after the next. 4. Can the funds from sold securities be used immediately to buy other securities? Funds from sold securities can be used immediately to buy other securities and clients do not need to wait for settlement day. 5. Can purchased securities be sold immediately? Securities purchased through Success Securities by its clients can be sold immediately, even if the turnover is only partially done. The turnover part can be sold at any time. 6. Can I pre-set the trading orders for the next trading day? Success Securities allows clients to set trading orders for the next trading day after the market closes. Success Securities will automatically send the trading orders to exchange market before the market opening on the next trading day.